At Kenneth Copeland Ministries, we take financial accountability seriously. We believe God has called His Church to be a faithful steward of His gospel (1 Corinthians 4:2). Here you will find information about our financial accountability as well as a breakdown of how your ministry gifts are faithfully used to bring the good news of salvation through Jesus Christ to the world. God bless you. We love you and appreciate the vital part you play in Kenneth Copeland Ministries. Our Covenant Partners and Friends, who have committed to support KCM, are helping us take the uncompromised Word of God to the world. You truly are co-labourers with the KCM staff in the work God has called Kenneth and Gloria to do. To help you stay informed, we’d like to take this opportunity to show you where your support goes and to briefly explain our financial accountability. Kenneth Copeland Ministries Australia, being a registered Australian company, is recognised, by the Australian Taxation Office, as an Income tax exempt charity and as such is exempt from Australian income tax. We are governed, within Australia, by a Board of Directors who oversee all aspects of financial management of the Ministry. The Board of Director’s have established Committees that report on matters involving; the annual audit of financial reports, risk management issues and executive remuneration. Additionally, all financial records associated with Kenneth Copeland Ministries Australia are independently audited each and every year by an independent, qualified and registered Public Auditor as required by the Corporations Act. 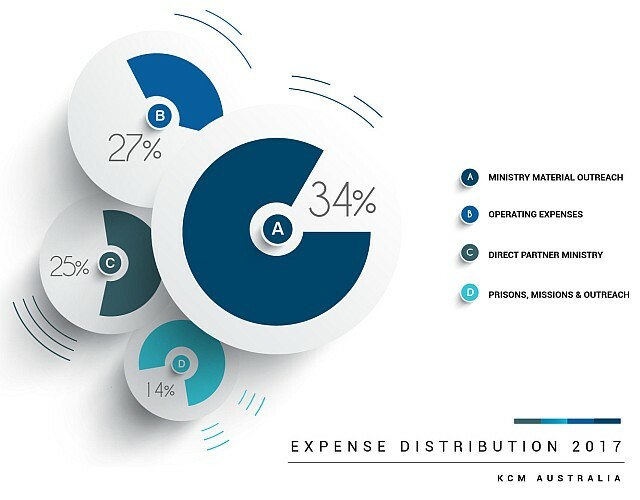 KCM Australia is committed to having no outstanding debt and to operating debt free now and in the future. Additionally, 10% of all gross income is voluntarily set aside to support other ministries and outreaches. We trust that this is informative for you. It is an honour to be of service to you, our Covenant Partners, and every member of the Body of Christ. If you should need further assistance, please do not hesitate to contact us.